The joint Kerry Agribusiness/ Teagasc “Focus on Profit” Programme focuses on improving the technical and financial performance of dairy farms in the Kerry Agribusiness catchment area. Consistent with the mission statement, the programme aims to provide Kerry Agribusiness milk suppliers with tools to increase farm profit by focusing on sustainable improvements in farm productivity. Monitor Farm Programme comprising 10 Monitor Farms and 5 Heavy Soils Farms. Discussion Group Programme with 40 Discussion Groups. Monitoring of grass growth across the Kerry Agribusiness catchment. Targeted campaigns on grazing management, soil fertility, milk quality and farm systems. Farm Info-Zone events to enhance programme participation among all suppliers. All Kerry Agribusiness milk suppliers can participate in a range of meetings, farm walks and workshops throughout the catchment. Started second rotation on the 7th of April. Completes a grass walk every 3 to 5 days with current growth at 31 kg’s/DM/day with measurements uploaded on Pasture base. Based on the nutrient management plan 18-6-12 will be spread across the farm for the next fertiliser application. Paudie is participating in the Phosphorous build up course in 2019 to avail of the extra Phosphorous allowances on his farm. Slurry applied on some paddocks through low emission application. 40 Tonne of lime spread on the milking block so far in 2019 – Paudie commented that he will spread more lime when the opportunity arises to ensure soil pH is optimum. Plan is to start breeding the 10 of May – Paudie commented that he wants to calve cows to grass and he feels there is little point having cows calved before the 10th of February on his farm. The plan is the use about 80 high EBI straws on cows and heifers to breed replacements. First three weeks of breeding Friesian/Jersey AI straws are used. Beef AI is then used for two weeks, followed by two weeks with the stock bull and finishing again with two weeks of beef AI. Paudie puts a big emphasis on short gestation, easy calving beef AI/stock bulls to maintain a tight calving pattern. 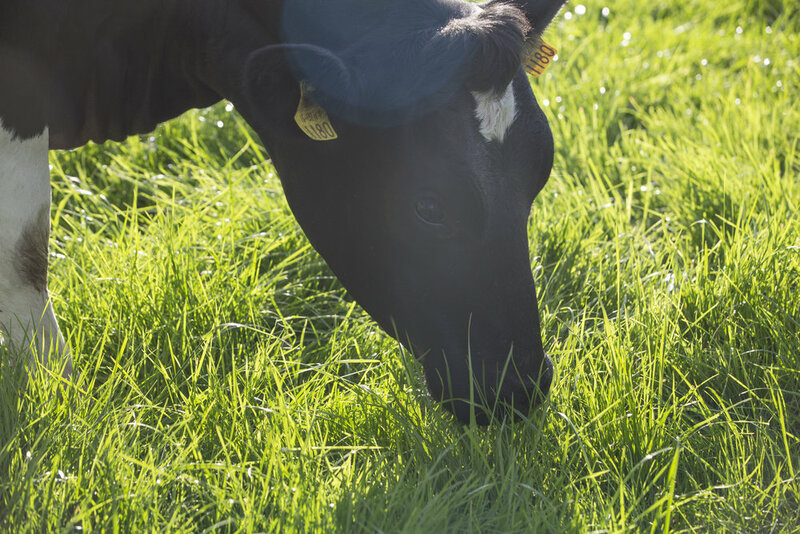 In 2019, 95% cows calved in six weeks and really maximised grazed grass in the diet as he had large numbers of cows with appetite to get through some heavy covers in the first rotation.